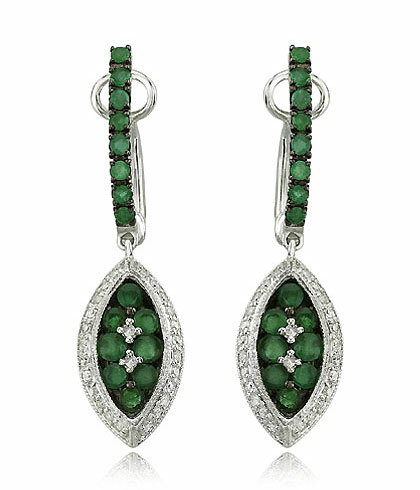 What could be more enchanting than emerald jewelry? 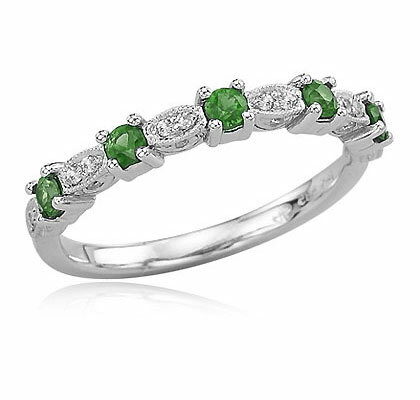 Just the word emeralds bring to mind a rather magical and elegant gemstone. Named after the Greek word to meaning green gemstone, emerald jewelry is just as popular today as it was in ancient times when it was thought to possess magical powers and aided those who wore emerald jewelry. This gem has always earned respect as being one of the most beautiful gem that nature has given to us. Learn about the fascinating history behind the emerald and how this amazing gem is mined today to bring beauty to the world of fine jewelry. 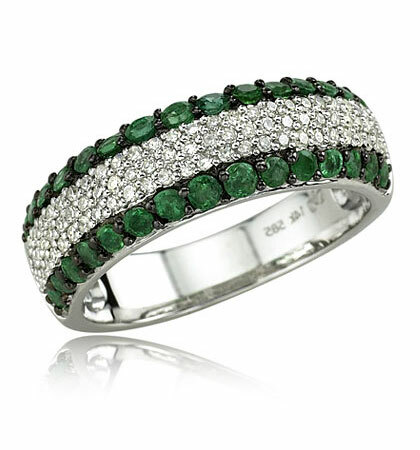 Emerald jewelry is thought to be one of the absolute most stunning gems that one can have. The color of a real emerald is a very intense and shining green; it is said to be so brilliant that one cannot imagine a more perfect green color. One may think that diamonds are on the top of the list of valuable gems; but truth be told, there are emeralds that are actually more valuable than diamonds. South American is home to what is thought to be the first emerald mine. It was the ancient societies of the Incas and the Aztecs who first discovered the shining emeralds and then hand crafted this gem into some of the most beautiful and stunning pieces of emerald jewelry that one could imagine. Their emerald jewelry was very important to them, as it was thought to bring about magical powers. Another theory of the discovery of the emerald brings us to ancient Egypt; a time when pharaohs ruled and that this gem was found near the Red Sea and brought to the Egyptians magical powers that were precious to them. Cleopatra herself is thought to have had many emerald mines and explorers believe that they found them in the early 1800’s. Of course, by then, the mines were empty. Cleopatra is thought to have had countless, precious emerald jewelry pieces. Emerald jewelry is thought to bring many things to those who wear it. It was said that this sparkling green treat had healing powers and also brought good luck to those who wore emerald jewelry. Emeralds have been thought of as precious to almost every ancient civilization and for that reason, luckily, many of the pieces from those societies have been found and are now in museums. One of the biggest emeralds ever known, the Mogul Emeralds is privately owned and is over two hundred karats. Prayers were engraved in the gem, along with flower etchings. It is rumored that that emerald was purchased for more than two million dollars; the owner chooses to remain anonymous; it is no surprise. There are other large and wonderful emerald pieces that are on display for all of us to see. In New York, the Museum of Natural History had on display a cup that was crafted out of an emerald. It sat next to Patricia, one of the biggest emeralds ever known to man; it was over six hundred karats. Other famous displays included the Bank of Bogotá which held five separate emeralds, each between two hundred and one thousand karats. Now of course, if you are interested in emerald jewelry, you certainly can’t go with an emerald that is that big! Choosing to wear emerald jewelry shows taste and class. Emerald jewelry symbolized life and springtime. It is also considered to be the color of beauty and love. Long ago, in Rome, green was the color for the Goddess of Beauty and Life: Venus. Many countries have green in their flags and of course, green symbolized nature and all of her beauty. Perhaps that is why emerald jewelry and the gem itself stand for the month of May.